ACR, Acorn, Arada, Aspect, Avalon, Capital, Charnwood, Cleanburn, Contour, Di Lusso, Dimplex, Dovre, Ecoburn Plus, Eco Ideal, Esprit, Farringdon Eco, Flamewave, Flavel, Franco Belge, Gallery, Hamlet, Hardy, Herald, Hunter, i Series, Jetmaster, Lotus, Manor, MCZ, Nordpeis, Oak, Parkray, Solution, Stratford, Stovax, Specflue, Termatec, Tortoise, Trianco, Valor, Varde, Vermont, Villager, Warm Home, Warrior, Woolly Mammoth, Yeoman and many more. 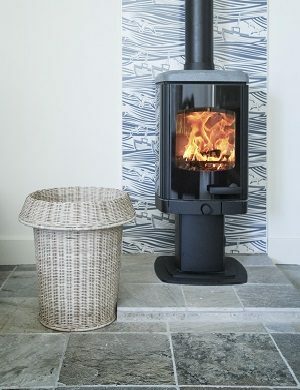 Countrylife Stoves supply a wide range of traditional, contemporary and modern wood/multi-fuel stoves. We are main dealers for leading brands, who we have carefully selected as manufacturers who deliver the quality of workmanship we demand. We understand that a real fire is more than warmth, it is the focal point of any room, so we listen to our customers and advise on the best solution for their individual requirements. A wood burning or multi-fuel stove can help you achieve a low carbon footprint. With gas and electricity prices rising, a stove does not just make good sense for the environment, but helps your pocket too. Although woodburning stoves generally have low emissions, the new Ecodesign woodburning stoves have even lower emissions, making them the most environmentally friendly stoves available today. 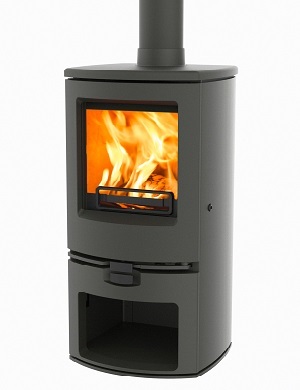 If you don’t have room for a freestanding stove, why not consider an inset stove. These stoves come in various designs and heat outputs, meaning you can create the look that appeals to you. Not only can a stove heat your room, many stoves enable you to cook on top as well, meaning in a power cut, you can still boil a kettle for a hot drink or cook a stew. To keep things simmering, we recommend using one of our trivets. We also supply double-fronted stoves, which can be viewed from both sides. These can be a central freestanding statement in the middle of a room or installed into a central chimneybreast, making the stove visible from both sides and heating both rooms. If you would prefer to heat your whole house, why not consider a boiler stove. These can usually be linked in with an existing convenience fuel system, making you rely on fossil fuels even less. Lastly we are able to advise on your ideal size of stove. As all requirements differ, we suggest that you visit our showroom with the size of the room you wish to heat, together with the size of the fireplace opening & chimney breast and we will help you choose the right stove. So whatever you desire, be it just a functional addition to your home or a statement in your living room, we have a stove that is right for you. So come and visit our showroom, chat to our passionate staff and see the vast range of stoves we have on display.